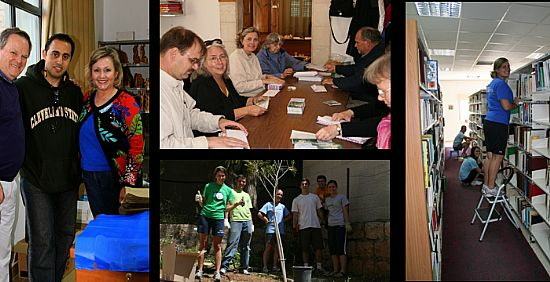 The Hope Christian Trust was established as a charity,in the UK,to support Bethlehem Bible College, over thirty years ago, and has grown to support other Ministries in the land.Click on the image (left) to learn about the Colleges"vision and purpose." 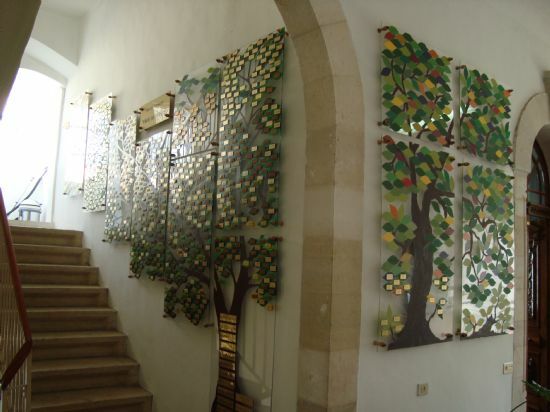 Please see below not only a gallery of images from the Bible College , but also a You tube video of the now BBC president Pastor Jack Sara.In this video he explains not only the function of the BBC , but also how it outreaches to a struggling Christian community, within the West Bank and Gaza.and more recently refugees from the Syrian conflict. 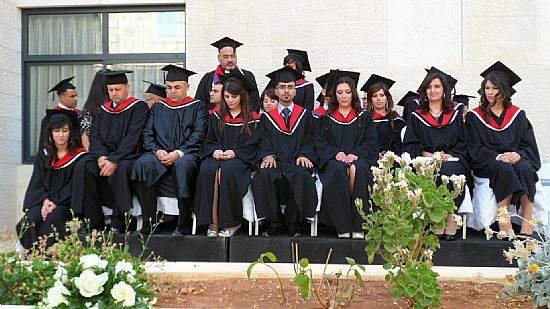 Alternatively find the College on Facebook(search under Bethlehem Bible College). To be put on the mailing list or email list for regular information of the College please contact the Trust or College direct. 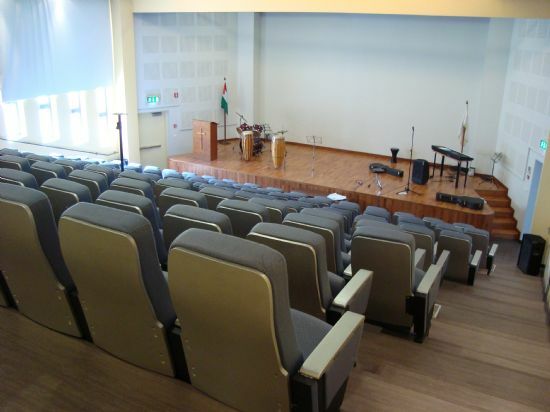 The Lecture Theatre is used for some student lectures and for visiting speakers. 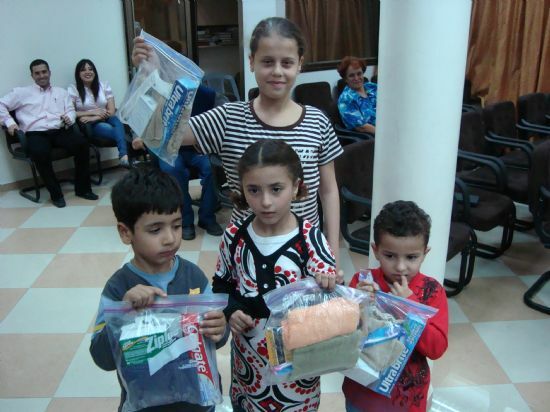 Children in Gaza receive "health bags" taken in by Trustees from the Shepherd's Society in Bethlehem. 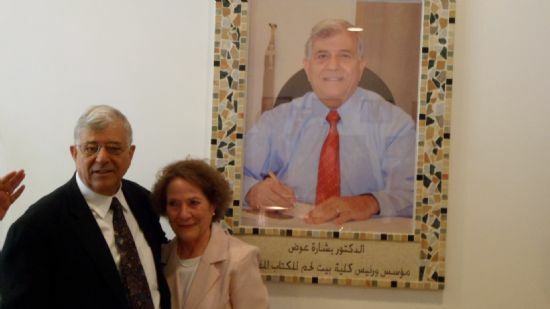 Bishara Awad and his wife, Salwa by the portrait in the atrium of the new Student Centre.Bishara is now retired but was one of the founders of the College. 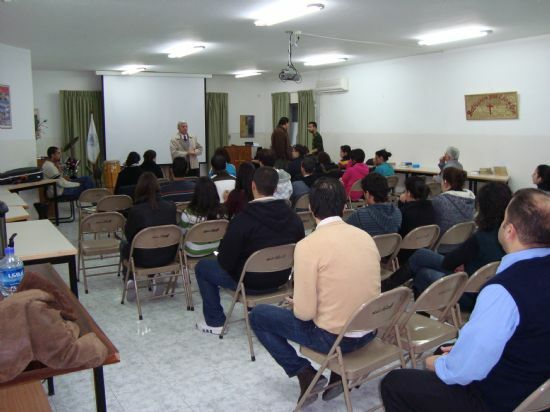 Students attend special College chapel twice a week. They also participate in regular termly retreats. 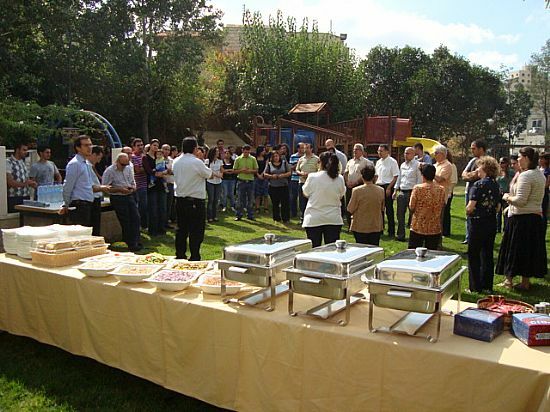 Meeting at a nearby centre's gardens (Beit Al Liqua) is a popular choice for an out door get together. 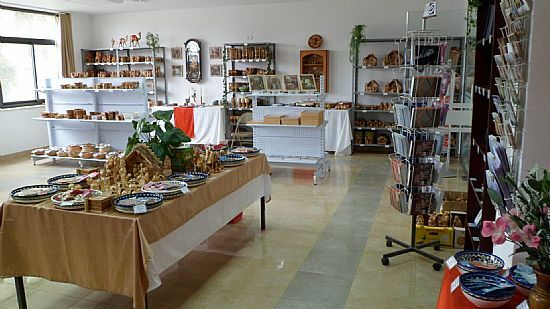 The Bible College has an excellent shop where goods can be bought at very reasonable prices.Tourists use it all the time! Orders from abroad can be made via the Bible College website.There is an ongoing need for volunteers to run the shop! 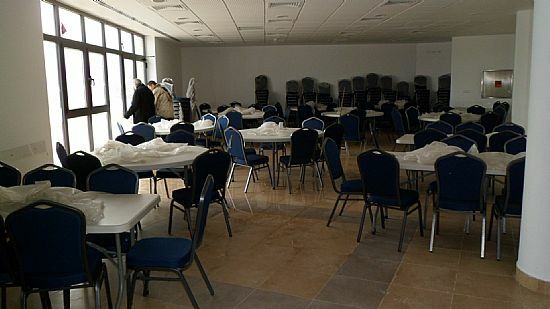 The cafe area of the College. 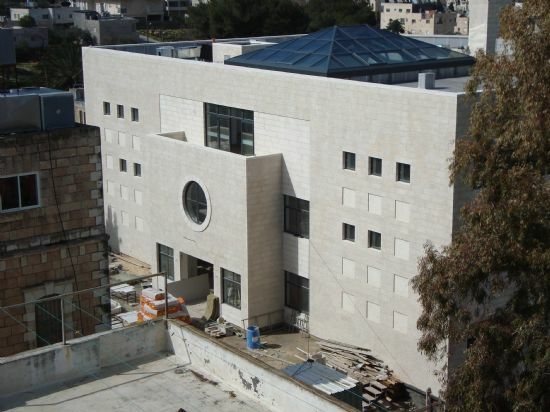 This area looks out on to a large balcony overlooking the Beit Jala area of Bethlehem. Students and visitors help office staff to prepare and send out a College bulletin across the world! 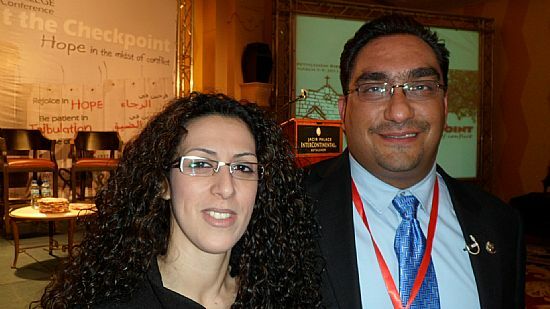 The Bible College President ,Doctor Jack Sara, and his wife Madelaine. The entrance to the Bible College. 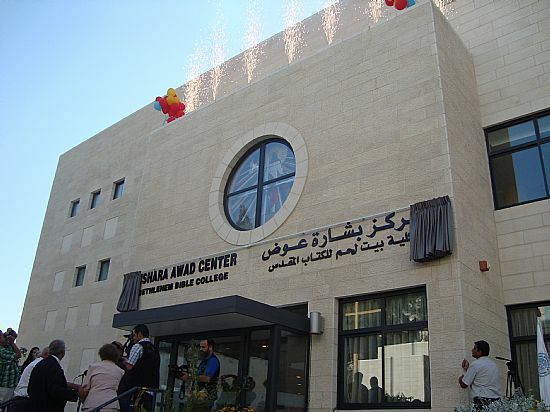 Named after Bishara Awad its founding President. 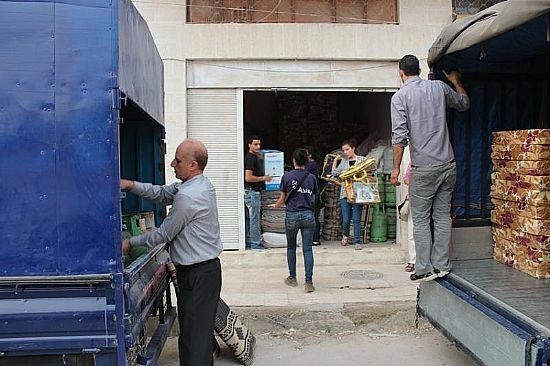 The Bible Colleges "caring arm",the Shepherds Society, prepares "aid" to be sent to Syrian refugees in Jordan. Visiting students from the USA. Theology students from Oklahoma spend time at the Bible College. Holiday Club for local children. 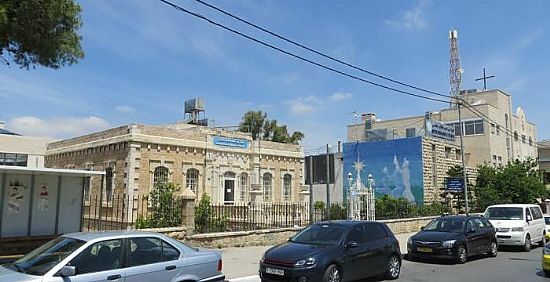 Staff at the college run a holiday club for local children in Bethlehem. Volunteers(seen here with a students) come to Bethlehem and give time and labour to the running of the College.Praise the Lord!!!! 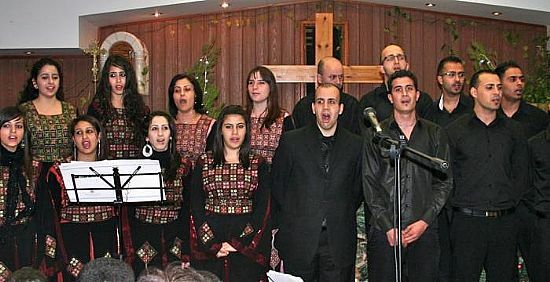 The acclaimed College choir have performed in many countries and take the Lords love to many people with wonderful music. 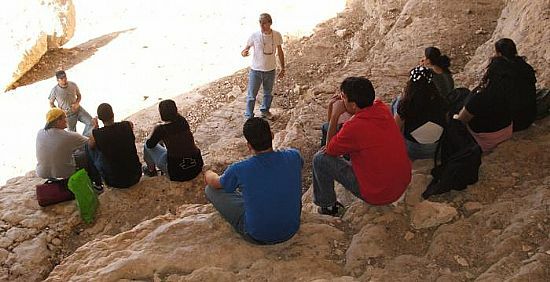 Students from other countries attend courses at the Bible College.This group has been taken to a quiet desert place to contemplate,pray, and learn more about the Christian faith. 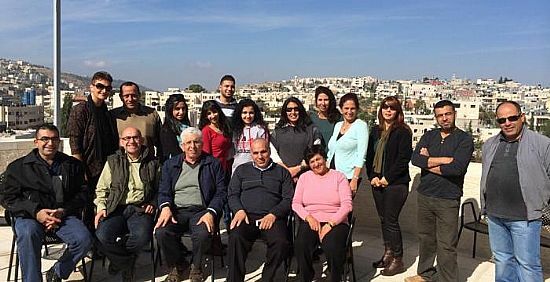 Members of the Colleges "caring arm",the Shepherds Society travel to Jordan and meet with war refugees.The society administers aid and help to the needy and dispossessed.